Alas, Zoss the Swiss Baker closed on March 31, 2019. 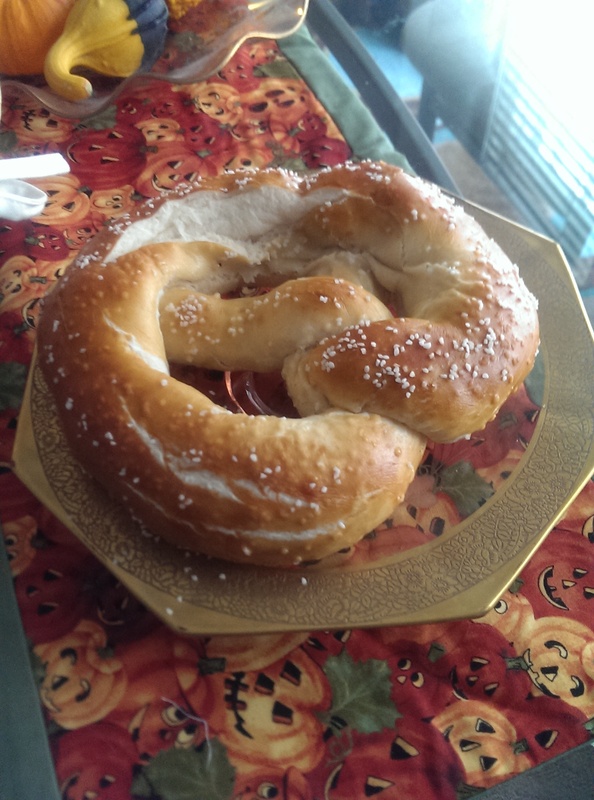 Zoss the Swiss Baker is a high quality European bakery in Cleveland Heights. It does not serve beverages. It does not have seating. 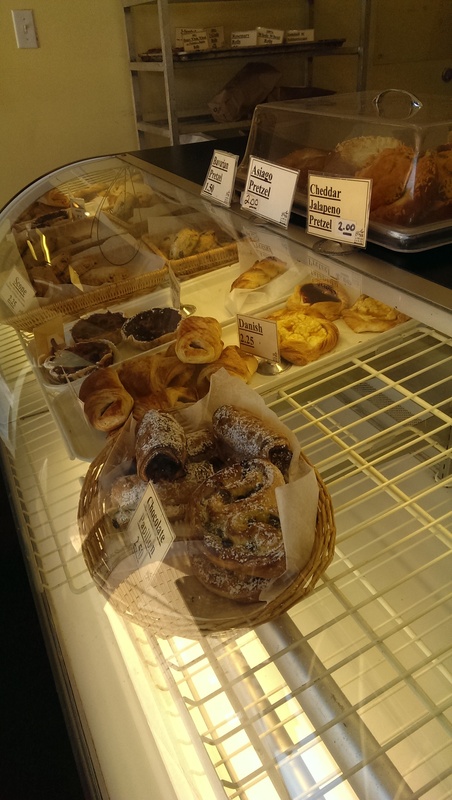 Instead, it has the most delicious European breads and pastries. 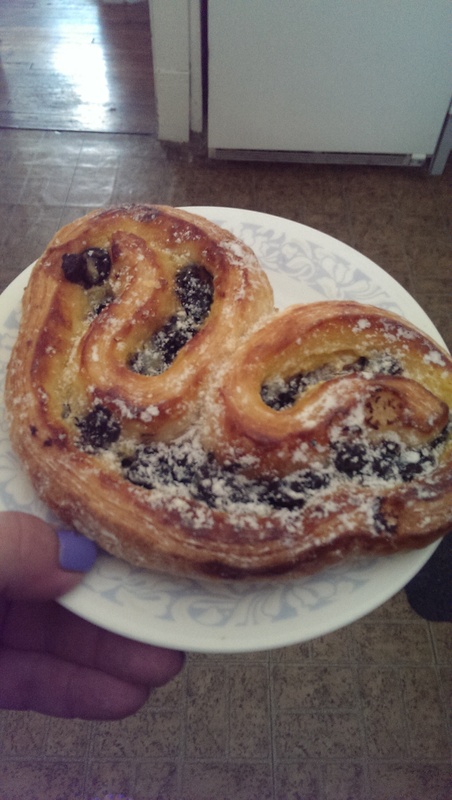 Real, honest to goodness European pastries. It’s enough to make me cry. They use quality ingredients here – real butter, chocolate, flours, etc. You can taste the quality in the first bite. The pastries are light and flaky, while the bread is as dense and crusty as it should be. The Krustenkrone alone has assured my patronage for as long as they are in business. I have never seen it offered here, despite being a staple at parties in Germany. 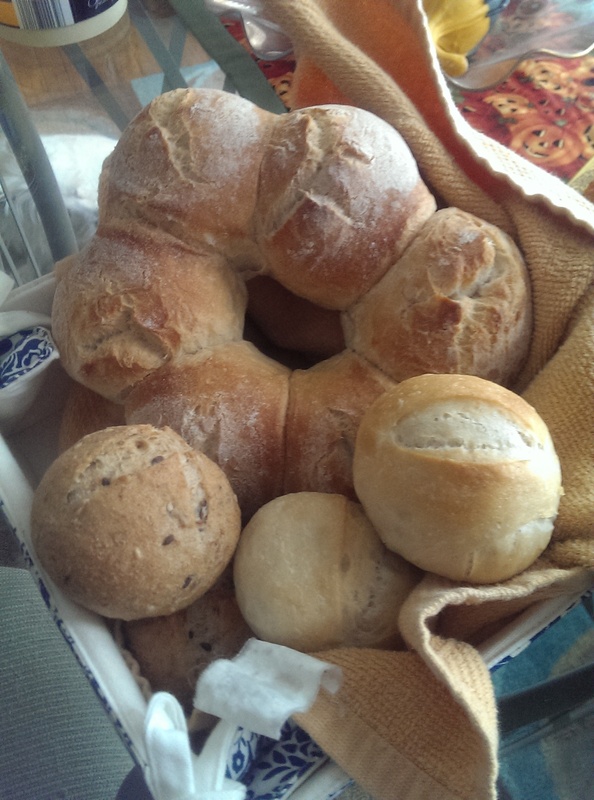 The Krustenkrone consists of small bread rolls that are shaped in a ring. 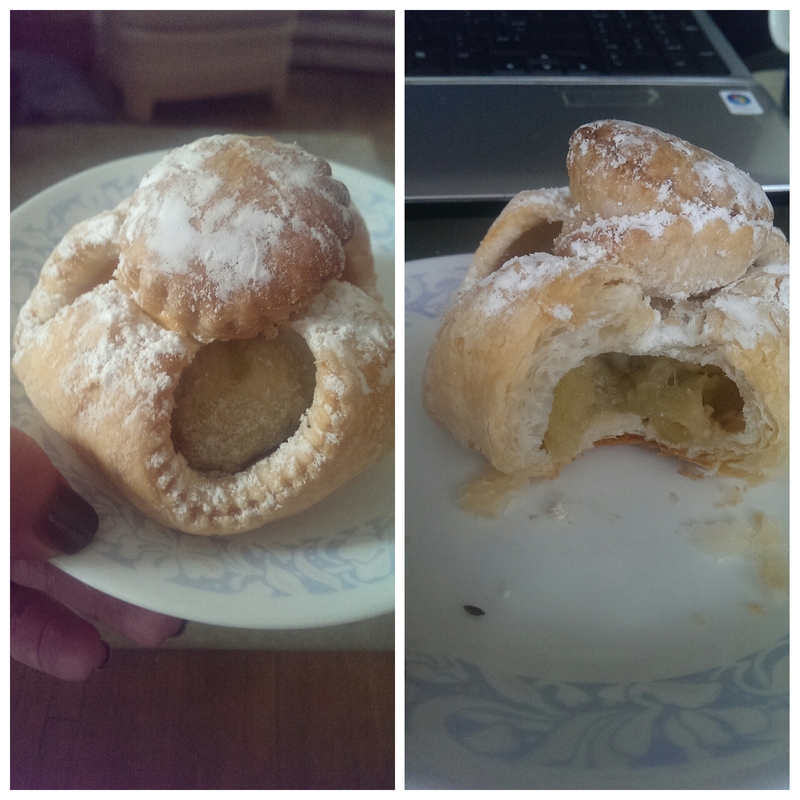 You pull apart the Krustenkrone and get a crusty crust with a tender inside. The ones I am familiar with from Germany have a variety of different toppings, like sesame seed, poppy seed, parmesan, etc. I’m sure if asked they could make it that way as a special order for a party. 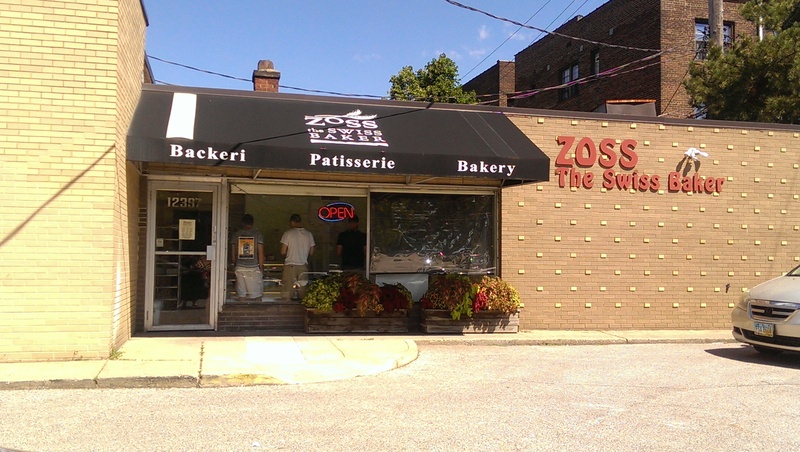 Zoss is located in an unassuming brick building on Cedar Road, tucked away just past Nighttown. Even though it faces out to Cedar Road, it is in an easy to miss location. They have their own parking lot with free parking, which is a plus in Cleveland Heights. I go here when I know On The Rise will be crazy busy with nary a parking space in sight. Kurt and Barbara Zoss have been in Cleveland for nearly two decades, now managing four employees and making ten bread assortments and various pastries, baked goods and tarts every day. I first learned about Zoss at the North Union Farmer’s Market on Shaker Square. They were selling a pastry called Apfel im Schlafrock (apple in a nightgown), which caught my eye. The marzipan flavor when I bit into it won my heart. This pastry is amazing. The pastry dough is buttery, tender and flaky and the apple filling is creamy and delicious. 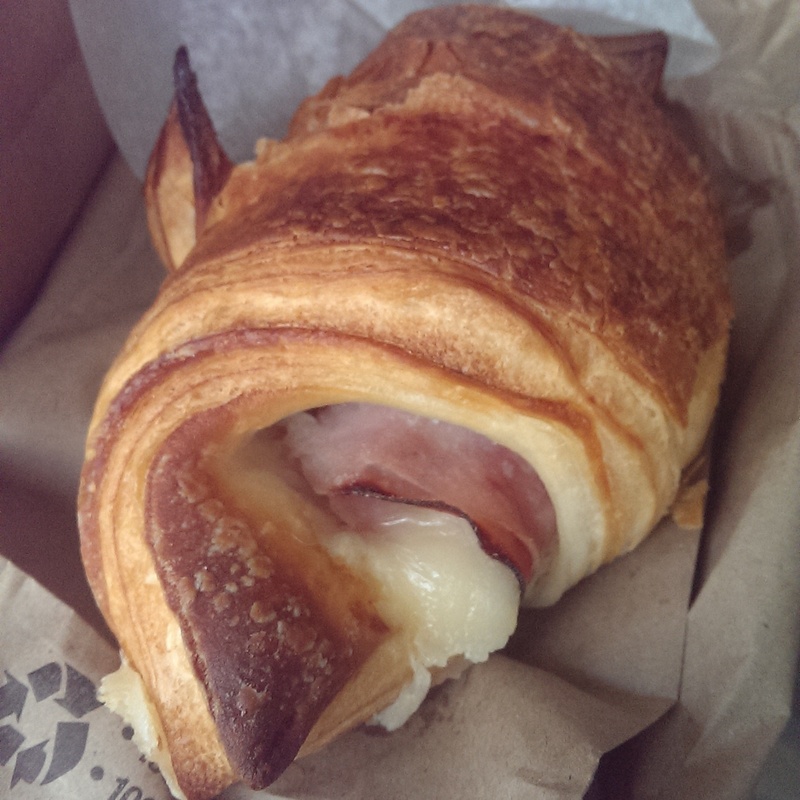 I love their ham and Swiss croissants and German Bretzel (pretzel) as well. Since the tastes skew more European than American, the baked goods are not as sweet as you might expect, and that is a good thing! Everyone raves about their Chocolate Papillon, with good reason. It is a light, delicate and airy pastry brimming with quality chocolate goodness. It is absolute perfection. They sell a wide variety of breads. I always have a hard time deciding. I narrowed it down to the Country Sourdough or the Rustic Italian this time and asked the woman behind the counter which she recommended. She recommended the Rustic Italian and then asked if I wanted it sliced. I prefer slicing my own bread, but I appreciated having the choice all the same. Their Semmli also make me smile. These little balls of goodness are smaller than the Semmel or Brötchen I am used to from Austria and Germany, respectively, but they are a nice choice for a small variety of open-faced sandwiches that European breakfasts are known for. Their savory tarts are quite lovely as well. I bought a spinach and onion tart and was not able to eat it until the following day. I didn’t even heat it up. I simply ate it at room temperature. It was just as delicious if it had been fresh. 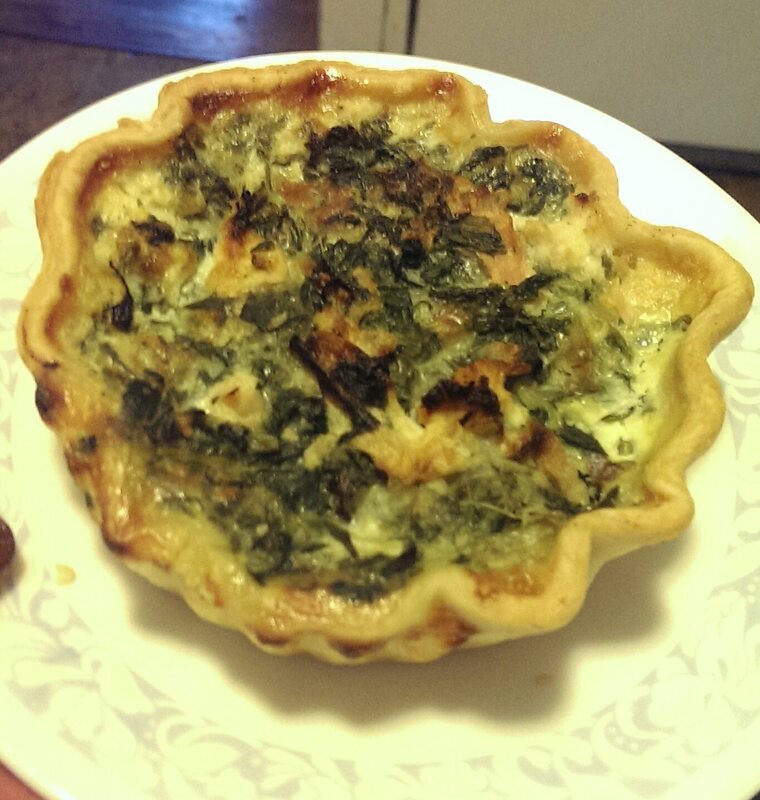 The tart was packed with lots of spinach and it had a nice oniony/garlicky flavor to it. It was almost quiche-like. I would definitely recommend giving their tarts a try. They run out of baked goods fairly quickly, so get there early if you want to get their best stuff. They are closed on Sundays and Mondays. Also, they have a $10 minimum for credit cards, so bring cash if you can.